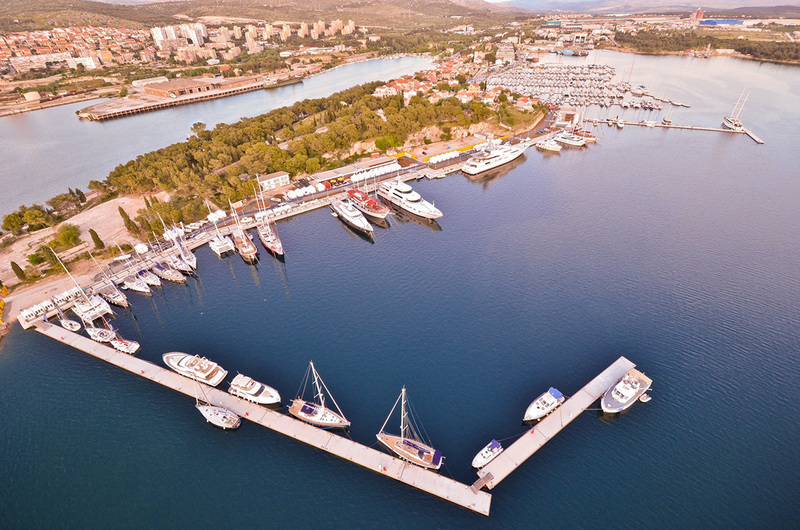 Marina Mandalina (43°43.0′ N, 015°54.3′ E) is the only marina in Croatia rewarded with 5 Gold Anchors by The Yacht Harbour Association of Croatia for quality berthing facilities, situated in the city of Šibenik. 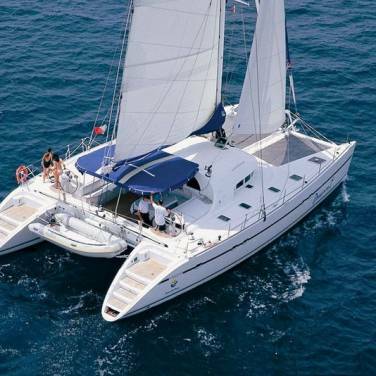 The marina offers 429 berths and 50 dry berths. 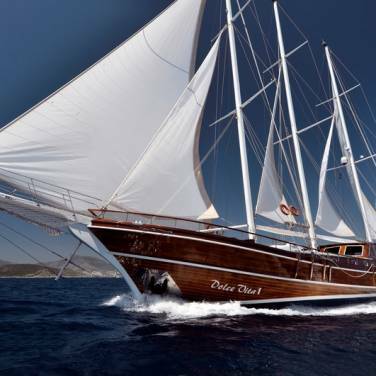 It is fully equipped to accommodate mega yachts up to 140 metres long with unlimited draft. The marina is open throughout the year. Reception desk with the exchange office, parking lot, rent-a-car service, grocery shop, two restaurants, toilets with showers, laundry, service area with trevel lift and crane, WLAN Internet. 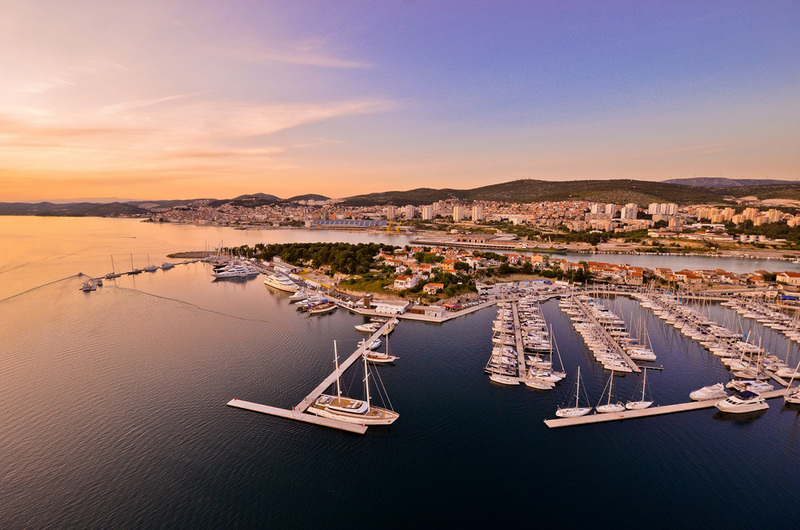 There are two airports in the vicinity of Šibenik connected with regular direct lines to all the biggest European centers, Split and Zadar, both 40 minutes from the marina. 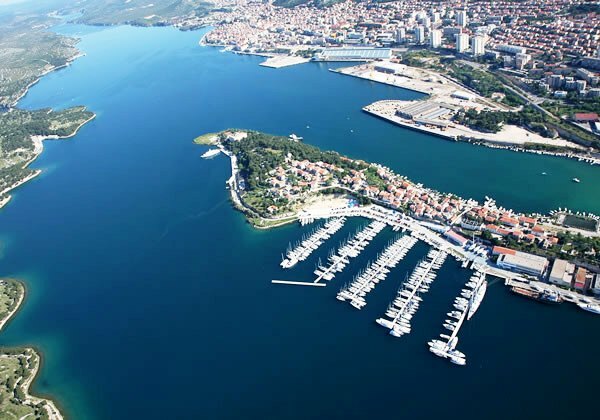 For those travelling from Zagreb or Split, there is a highway, while for those arriving by sea it is severely forbidden to reach the speed limit of 6 knots within the zone of up to 300 m from the coastline. 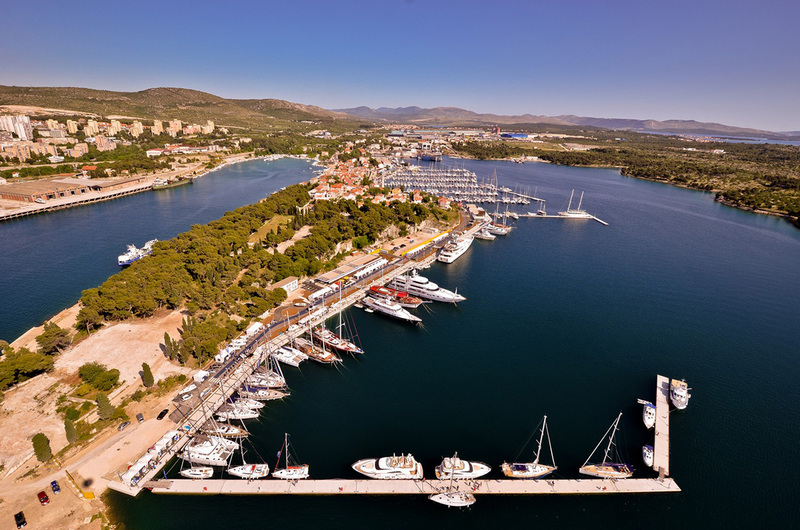 Marina Solaris (N 43°42’00”; E 15°53’20”) is located 6 km from Šibenik, on the peninsula within Solaris Holiday Resort. 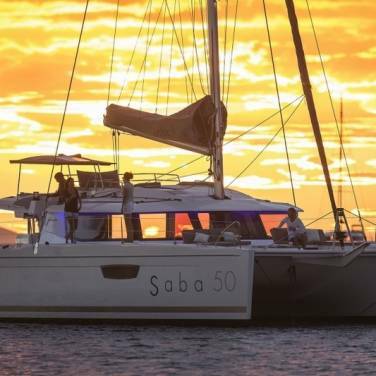 The marina offers 190 sea berths that can be used on a yearly, monthly or daily base. Reception desk, exchange office, mini market, caffe bar, restaurant, souvenir shop, safe, toilet facilities with warm water, crane, animation for entire resort. 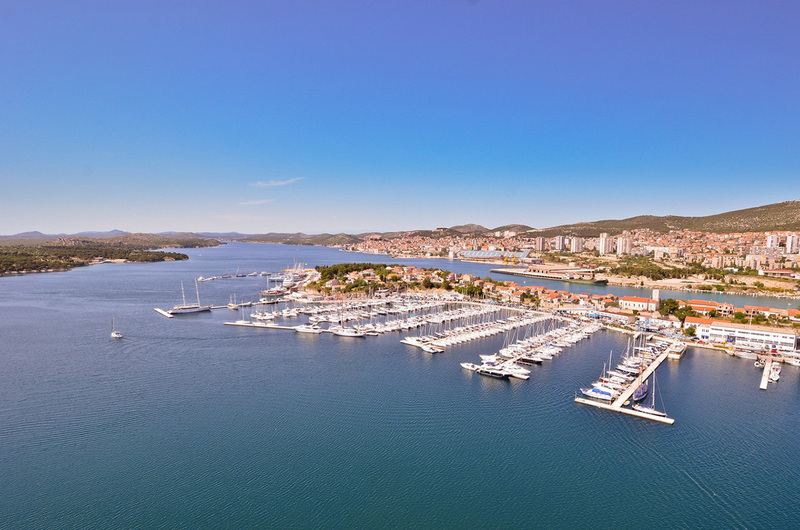 Šibenik is located at the crossing of the main roads Šibenik – Drniš – Knin and Zadar – Šibenik – Split. Šibenik is connected with the railroad Zagreb – Knin – Split over Perkovic. There are regular ferry lines with the nearby islands of Obonjan, Kaprije, Žirje, Zlarin and Prvić.